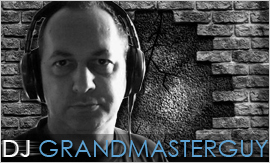 The one and only DJ GrandMasterGuy XLTRAX has been with the internet radio station for many years now. He mixes live weekly from Montreal, Quebec, Canada. The XLTRAX veteran resident Progressive House DJ with his years of music experience will give you a new mix every Friday from 10pm to 1 am eastern standard time. You can hear his mix on the Dance XLTRAX Mainstation. Tune in to Canada's number one dance station where nothing but the best DJs give you quality live music for your enjoyment. Enjoy a sample mix and get a little taste of his over twenty-five years experience making the crowd dance and bounce to his sounds.